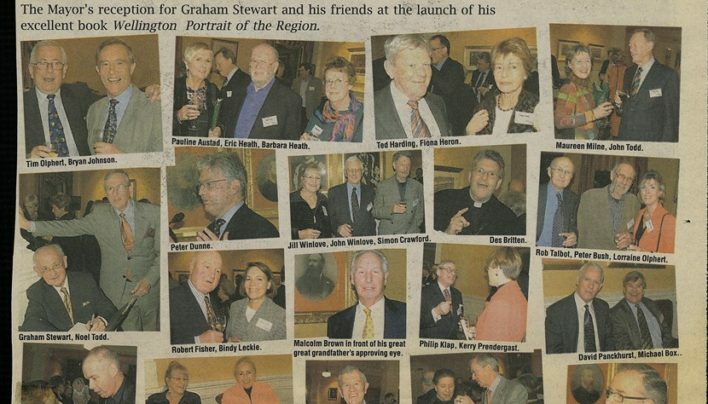 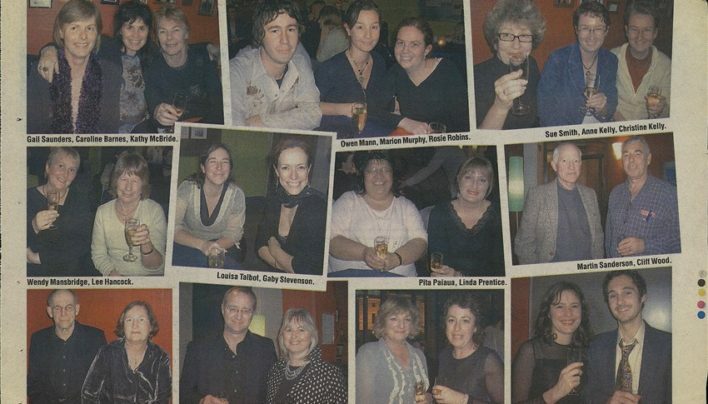 Photographs from the launch of Wellington: A Portrait of the Region by Graham Stewart (Grantham House) appeared in Capital Times. 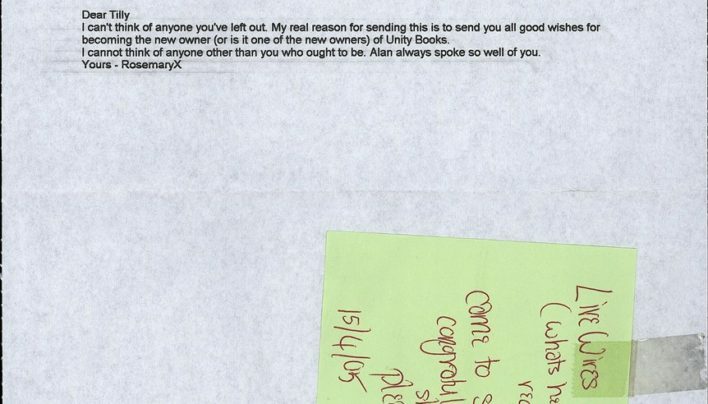 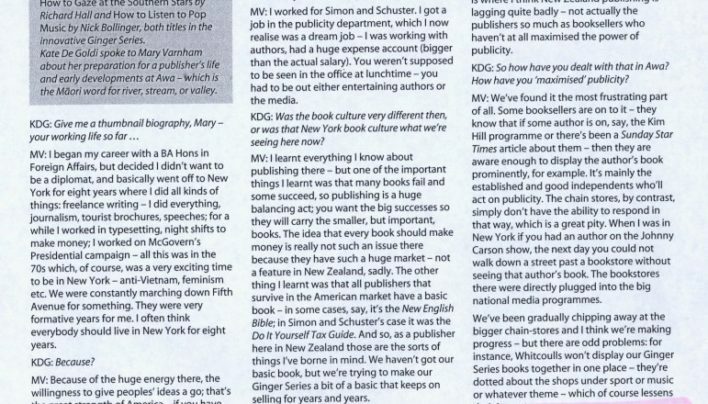 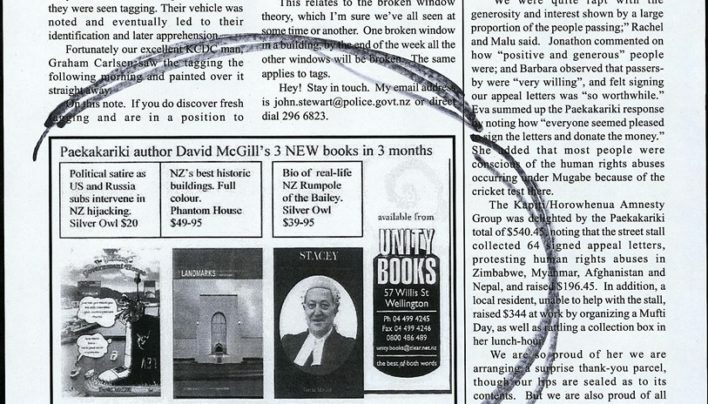 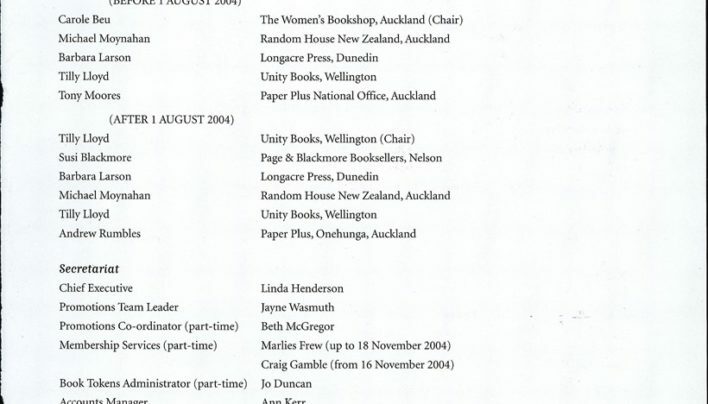 Rosemary Norman sent a message of congratulation to Tilly Lloyd when she became part owner of Unity Books Wellington. 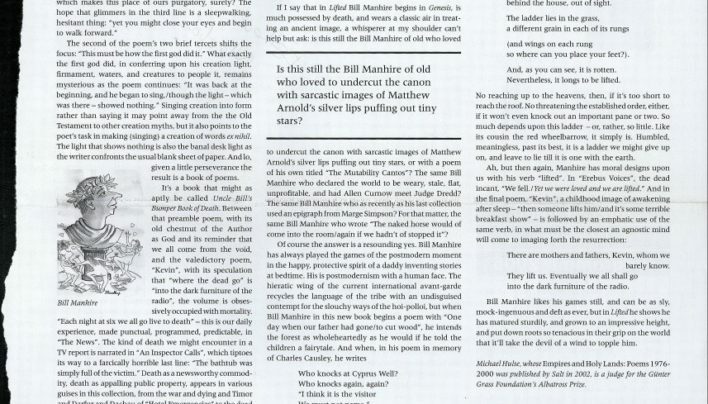 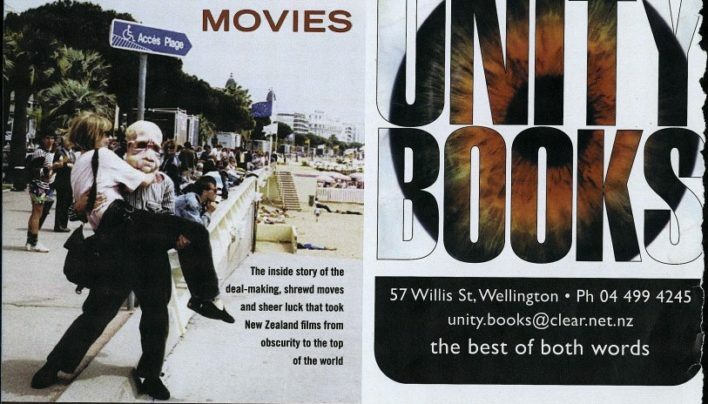 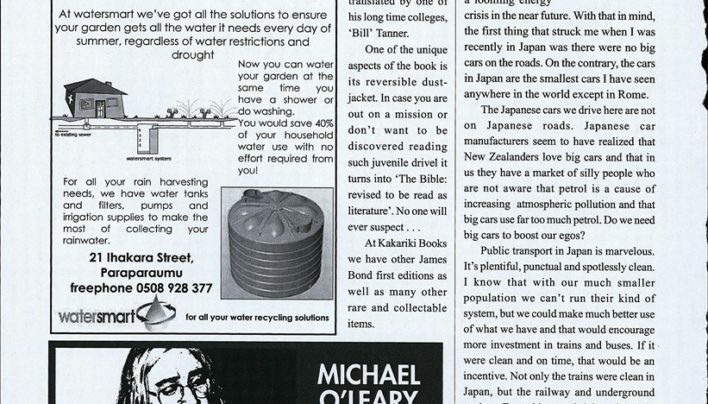 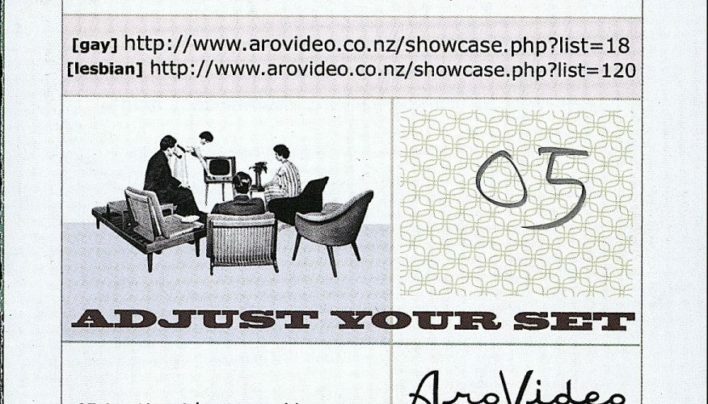 Our advertisement in the 25th February issue of the Paekakariki Xpressed features Make Love and War, a work by local writer Michael O’Leary, published by HeadworX. .
Our advertisement in the 2005 Outtakes programme shared a page with Aro Video and Radio Active.